Main station dual engine ignition panel. 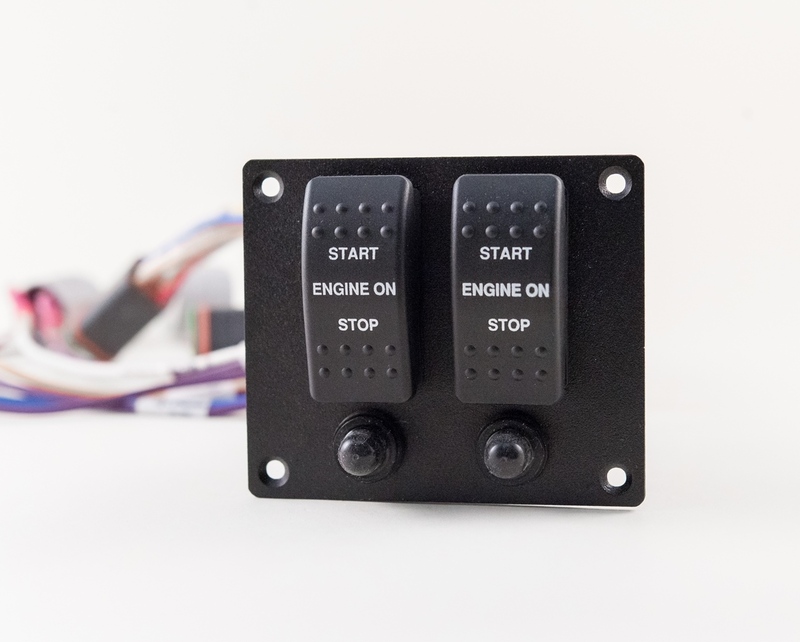 Dual rocker switch configuration provides engine start, engine stop and ignition on signals for both port and starboard engines. Panel includes two 3A resettable circuit breaker for accessories connected to ignition output of port and starboard engines. Used with M200 Engine Monitoring System.